Plugged nozzles are a major problem to tower performance. Regardless of the strainers or other measures taken to remove or reduce scale, nozzles become the most efficient filter in the system. Header pressure increased by plugged nozzles, will eventually build to point where nozzles will blow out. Then, most of the water will blast through the larger openings created by the missing nozzles starving the remaining nozzles and boring a hole in the fill media. Cooling tower fill is the heart of the tower. The rest of the tower just distributes water and air over the fill and captures cool water for the chiller. Fill is expensive to replace, so preserve it. 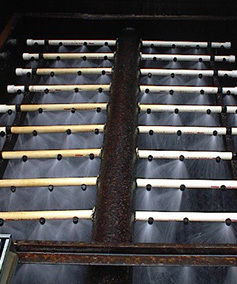 Maintain the support channels, replace missing nozzles to avoid blowing it apart and keep it clean with proper chemical treatment and mechanical cleaning. As towers age, efficiency tends to fall-off which influences chiller performance. Summer brings warmer days and greater demand on the chill-water system. Lack of maintenance decreases a tower’s efficiency. That drop in efficiency increases demand for power and water. Both are critical resources that need to be spent wisely. Removal should be done at least annually. Areas where water evaporates leaving hard scare behind is cleaned and removed by our maintenance technicians. 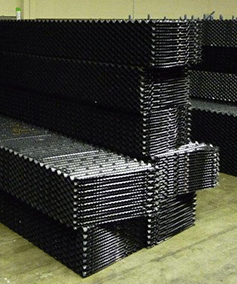 Air louvers, packing face, wet decks, distribution trays are examples locations that scale and debris grow. “Pay me now or pay me later” is over-used but seems the best way to describe results of poor maintenance. 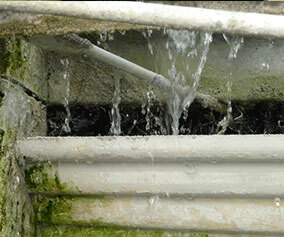 Cooling tower systems are an ideal environment for growth of Legionella. CT drift in the form of aerosols can be easily inhaled. Showers, washstands, sinks, air scrubbers and air handlers can also provide a good growth environment and possible means of transmission. Sediment, sludge, scale and organic materials can harbor the bacterium and promote growth. The formation of a biofilm within a water system is thought to play an important role in harboring and providing favorable conditions in which LD can grow. 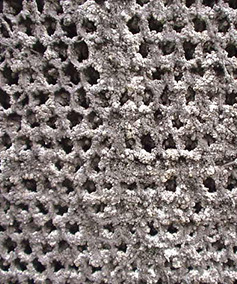 A biofilm is a layer of microorganism contained in a matrix that may form a thin layer of slime on surfaces in contact with water. LD grows within biofilm and within protozoa acting to shield Legionella pneumophila from concentrations of biocides that would otherwise kill or inhibit them when freely suspended in water. 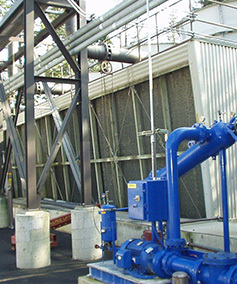 The rotating parts of a cooling tower are no different than any other fans. Treat them accordingly. 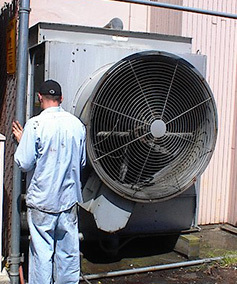 Our technicians are trained and experienced at maintaining the moving parts of cooling towers.